The Indonesian volcano which caused a tsunami that killed more than 400 people last week lost more than two-thirds of its height following the eruption which triggered the killer waves. A section of Anak Krakatoa's crater collapsed after an eruption and slid into the ocean, generating the tsunami last Saturday night. A visual analysis by the Indonesian volcanology agency found the volcano has lost more than two-thirds of its height, an official said Saturday. Anak Krakatoa which used to stand 338 metres (1,109 feet) high was now just 110 metres tall. The agency estimated the volcano lost between 150 and 180 million cubic metres of material as massive amounts of rock and ash have been slowly sliding into the sea following a series of eruptions. "Anak Krakatoa is now much shorter, usually you can see the peak from the observatory post, now you can't," Wawan Irawan, a senior official at the agency, told AFP. Before and after satellite images taken by Japan's space agency showed that a two square kilometre chunk of the volcanic island had collapsed into the water. The volcano, whose name means Child of Krakatoa, was a new island that emerged around 1928 in the crater left by Krakatoa, whose massive 1883 eruption killed at least 36,000 people. The crater's status has been raised to high alert, the second-highest warning on Indonesia four-point danger scale. The exclusion zone has been extended from two to five kilometres (1.2 to three miles). Authorities said at least 426 people were killed and 23 missing in the disaster. Some 7,202 people suffered injuries and nearly 1,300 homes were destroyed after the waves crashed into the coastlines of western Java island and south Sumatra. More than 40,000 people have been evacuated for fear of another tsunami as Anak Krakatoa continues to rumble. 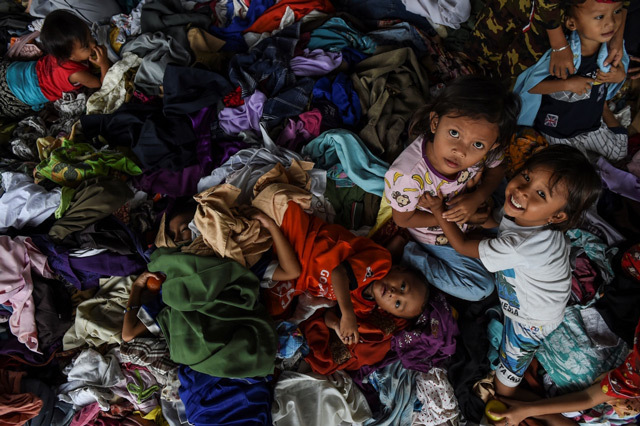 Indonesia, a vast Southeast Asian archipelago, is one of the most disaster-hit nations on Earth due to its position straddling the so-called Pacific Ring of Fire, where tectonic plates collide. 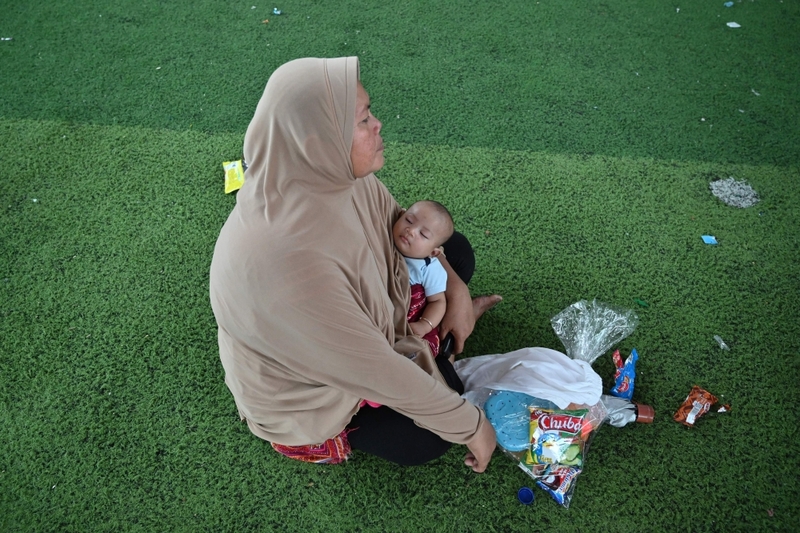 The number of people evacuated after Indonesia's deadly tsunami has nearly doubled to some 40,000 while more than 7,000 were injured in the disaster, officials said Friday, as they trimmed the official death toll. Authorities said 426 people had been killed - down from a previous tally of 430 - with double-counting by different districts blamed for the change. Two dozen people remain missing almost a week after the disaster. The fresh figures come a day after Indonesia's disaster agency raised the danger alert level for an erupting volcano that sparked the killer tsunami at the weekend. They have also warned that fresh activity at the crater threatened to trigger another deadly wave. Previously, the number of displaced - including many left homeless - stood at 22,0000 but that figure has now jumped to just over 40,000, according to the latest tally. Some 7,202 people suffered injuries, jumping from 1,495, while nearly 1,300 homes were destroyed as the waves crashed into the coastlines of western Java island and south Sumatra, authorities said. 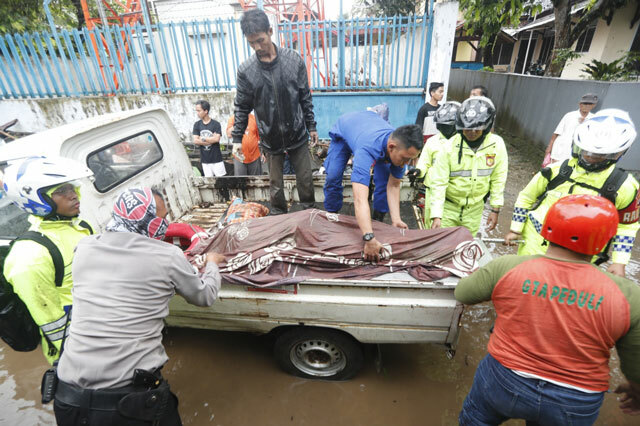 "We're recommending that people who lived near the beach be permanently relocated," national disaster agency spokesman Sutopo Purwo Nugroho told a press briefing in Jakarta. "But it's a last-ditch option because it's not easy with limited space and people reluctant to move away." A no-go zone around rumbling Anak Krakatoa has been widened to five kilometres (three miles) - up from a previous two kilometres - with residents warned to stay away from the coast. Flights are being redirected away from the area. A section of the crater - which emerged at the site of the Krakatoa volcano, whose massive 1883 eruption killed at least 36,000 people - collapsed after an eruption and slid into the ocean, triggering Saturday night's killer wave. The tsunami was Indonesia's third major natural disaster in six months, following a series of powerful earthquakes on the island of Lombok in July and August and a quake-tsunami in September that killed around 2,200 people in Palu on Sulawesi island, with thousands more missing and presumed dead. Indonesia's tsunami has raised fears that another deadly wave could wipe out the few dozen Javan rhinos still living in the wild, conservation authorities said Friday. There are believed to be fewer than 70 of the critically endangered species in a national park not far from a rumbling volcano that triggered Saturday's killer wave. None of the animals are believed to have been killed in the disaster - which left more than 400 people dead - but officials are warning that another deadly wave could slam into the stricken region. 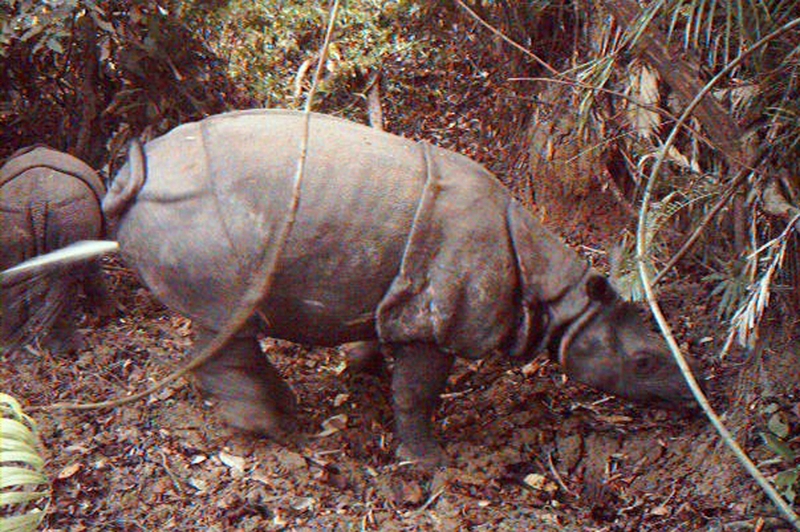 That is putting pressure on conservationists at Ujung Kulon National Park, on the western tip of Indonesia's main island of Java, to ramp up a longstanding plan to find a suitable secondary habitat for the rhinos. "It's become our duty to work harder to find a second habitat because the danger is real," national park chief Mamat Rahmat told AFP. 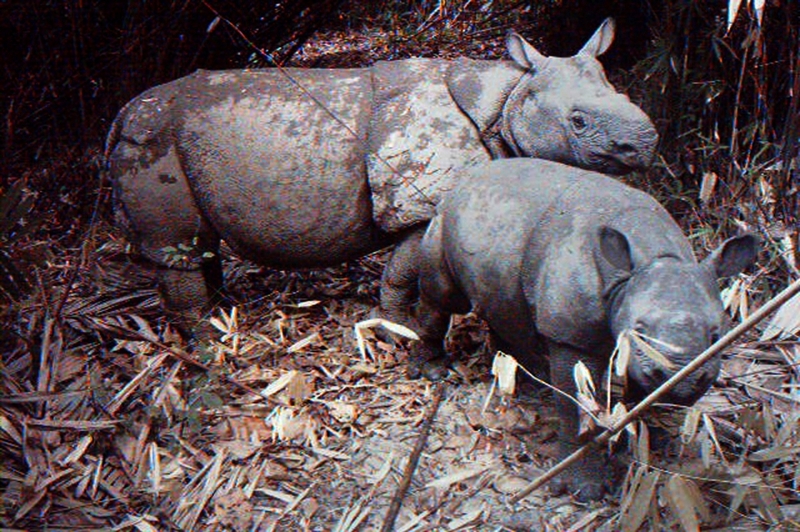 "We're lucky that the tsunami did not affect the Javan rhinos this time. But the threat is there and we need to act accordingly." Widodo Ramono, head of the Rhino Conservation Foundation of Indonesia, added: "If you've only got one habitat and there's another tsunami, the rhinos could be wiped out completely." Plans to find a second home for the species have been in the works for about eight years, with conservationists surveying areas all over Java and neighbouring Sumatra but so far without success, he said. The size of the habitat, climate, food and water sources and safety from poachers are among the key criteria, Rahmat said. "There are still a lot of issues to be worked out," he added. The rhinos' current sanctuary in the park comprises some 5,100 hectares (12,600 acres) of lush rainforest and freshwater streams. Several years ago, three calves were filmed in the national park, raising hopes for the future of the world's rarest rhino after years of population decline. The shy creature, whose folds of loose skin give it the appearance of wearing armour plating, once numbered in the thousands and roamed across Southeast Asia. But, like other rhino species across the world, poaching and human encroachment on its habitat has led to a dramatic population decline. Poaching in particular represents a severe threat, with rhino horns used in traditional Asian medicine fetching ever higher prices on the black market despite a lack of scientific evidence showing the horn has any medicinal value. 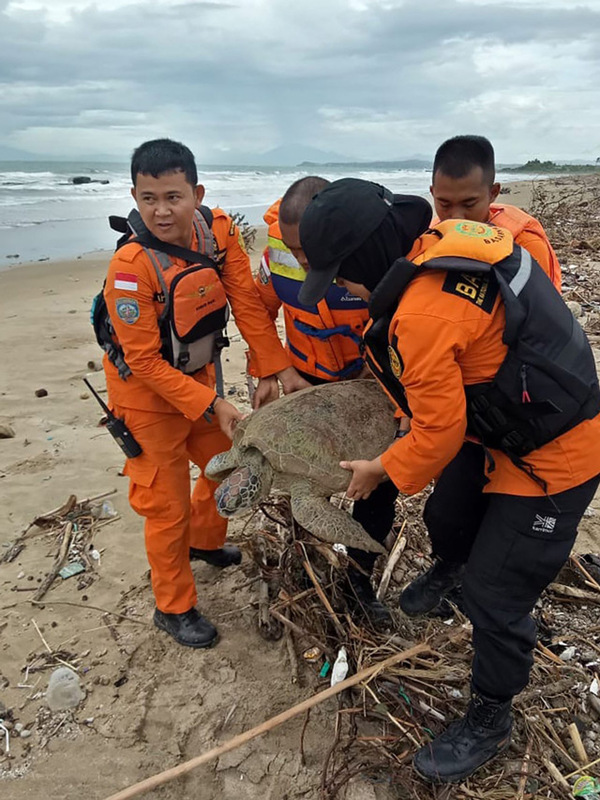 Searching a debris-strewn beach for victims of Indonesia's deadly tsunami, a rescue team happened upon a giant sea turtle trapped in a pile of marine trash. 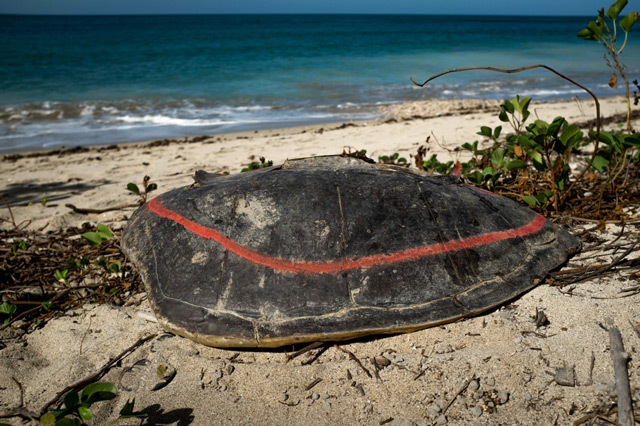 It took four staff to haul the endangered creature back to sea, just the latest in a string of turtle rescues along the country's devastated coast. "For us, all lives matter. Human or animal - we'll try to rescue them all." Indonesia on Thursday raised the danger alert level for an erupting volcano that sparked a killer tsunami at the weekend, after previously warning that fresh activity at the crater threatened to trigger another deadly wave. 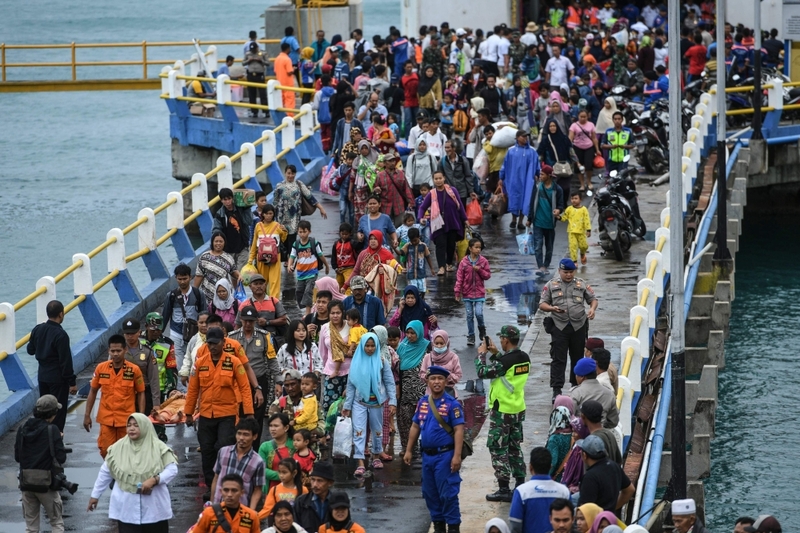 Authorities also widened a no-go zone around rumbling Anak Krakatoa to five kilometres (three miles) - up from a previous two kilometres - and warned shell-shocked residents to stay away from the coast, after more than 400 were killed by Saturday night's killer wave. Plumes of ash burst into the sky as pyroclastic flows - hot gas and other volcanic material - flowed down the crater, threatening anyone too close to the volcano and raising the risk of rough seas for boats in the vicinity. "There is a danger of more eruptions," said national disaster agency spokesman Sutopo Purwo Nugroho. "People (near the volcano) could be hit by hot rocks, pyroclastic flows and thick ash." Authorities raised the crater's status to high alert, the second-highest warning on the country's four-point danger scale, while aviation officials ordered flights to be redirected away from the area. "We've raised the status of (the volcano) since this morning because there's been a change in the eruption pattern," Kus Hendratno, a senior official at the Krakatoa observatory, told AFP Thursday. The new flows posed no immediate danger to area towns as the volcano sits in the middle of the Sunda Strait between Java and Sumatra islands. But the status change sparked new fears with many residents already scared and refusing to return to their communities over fears of another tsunami. "This worries me," said Ugi Sugiarti, a cook at the Augusta Hotel in hard-hit Carita. "I've already left." 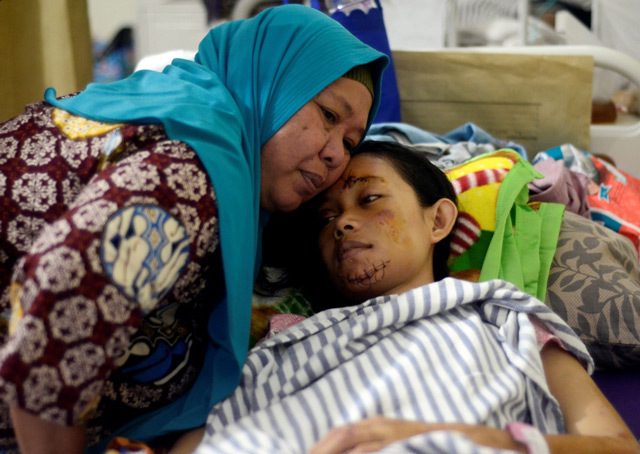 Sukma, a security guard at the shattered Mutiara Carita Cottages, added: "Just please pray for us and that everything will be okay." At least 430 people were killed, with 1,495 people injured and another 159 were missing. Nearly 22,000 people have been evacuated and are living in shelters. On Wednesday evening, the disaster agency said that wind was blowing "ash and sand" from the volcano to the nearby towns of Cilegon and Serang on Java, and advised residents to wear masks and glasses if they had to venture outdoors. Torrential rains have sparked flooding in some areas, hampering the relief effort and heaping more misery on the stricken region, as thousands cram emergency shelters. Medical workers have warned that clean water and medicine supplies were running low - stoking fears of a public health crisis. 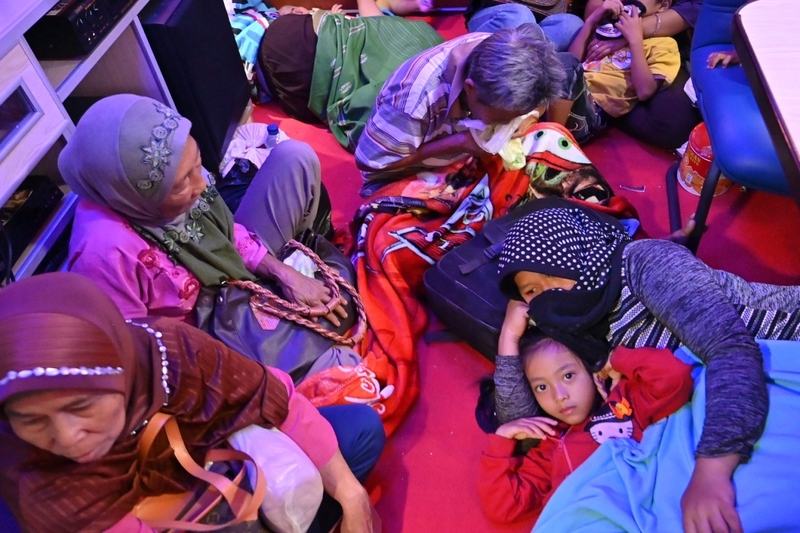 Indonesian search and rescue teams Wednesday plucked stranded residents from remote islands and pushed into isolated communities desperate for aid in the aftermath of a volcano-triggered tsunami that killed over 400. But torrential rains hampered the effort and heaped more misery on the region, as officials warned another killer wave could hit the stricken area. 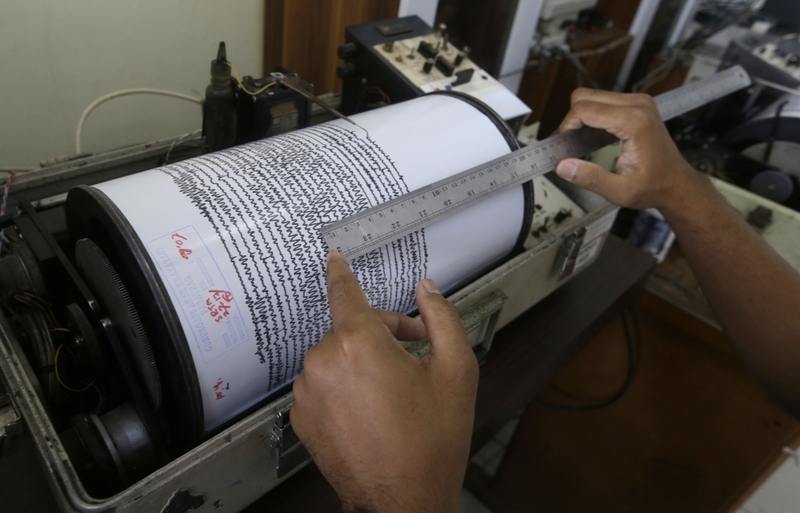 The disaster agency cautioned residents to stay clear of the coast, as fresh activity at the Anak Krakatoa volcano, which sits in the middle of the Sunda Strait between Java and Sumatra islands, threatened to spark another tsunami. A section of the crater - which emerged at the site of the legendary Krakatoa volcano, whose massive 1883 eruption killed at least 36,000 people - collapsed after an eruption and slid into the ocean, triggering Saturday night's killer wave. It struck without warning, washing over popular beaches and inundating tourist hotels and coastal communities, leaving a trail of death and destruction in its wake. The disaster agency slightly raised the death toll Wednesday to 430, with 1,495 people injured and another 159 missing. "There's a chance the number of fatalities will rise," agency spokesman Sutopo Purwo Nugroho told a press briefing. 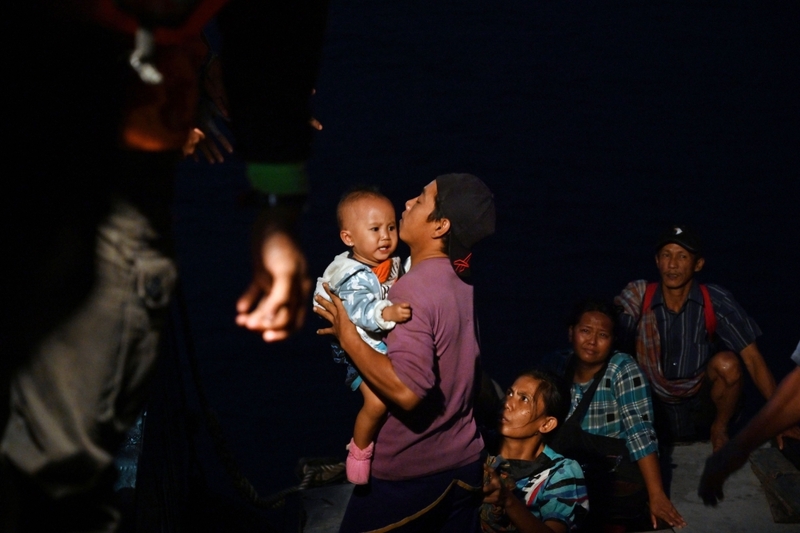 Medical workers have warned that clean water and medicine supplies were running low - stoking fears of a public health crisis - as thousands of displaced survivors cram shelters and hospitals. 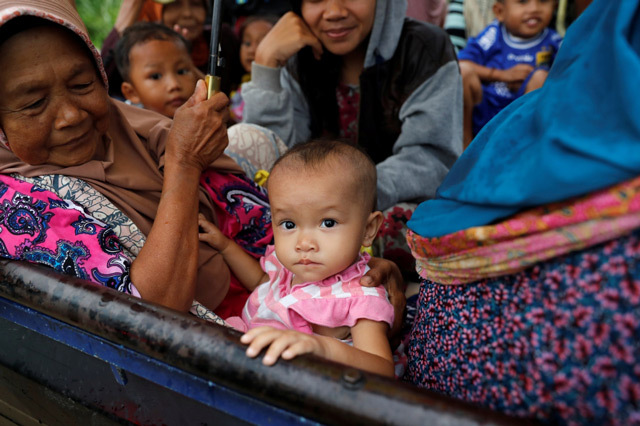 Many have been left homeless by the killer wave, and fear going back to their communities. "I'm here because people said there could another tsunami," Etin Supriatin said from an evacuation centre in shattered Labuan. Indonesian authorities warned on Wednesday of "extreme weather and high waves" around the erupting Anak Krakatau volcano, urging people to stay away from the coast already devastated by a tsunami that killed more than 400 people. Clouds of ash spewed from Anak Krakatau, almost obscuring the volcanic island where a crater collapse at high tide on Saturday sent waves up to 5 metres (16 feet) high smashing into the coast on the Sunda Strait, between Java and Sumatra islands. Indonesia's meteorology agency (BMKG) said late on Tuesday the rough weather around the volcano could make its crater more fragile. "We have developed a monitoring system focused specifically on the volcanic tremors at Anak Krakatau so that we can issue early warnings," said BMKG head Dwikorita Karnawati, adding that a two-kilometre exclusion zone had been imposed. The confirmed death toll is 429, with at least 154 people missing. More than 1,400 people were injured and thousands of people have moved to higher ground. The vast archipelago, which sits on the Pacific "Ring of Fire", has suffered its worst annual death toll from disasters in more than a decade. 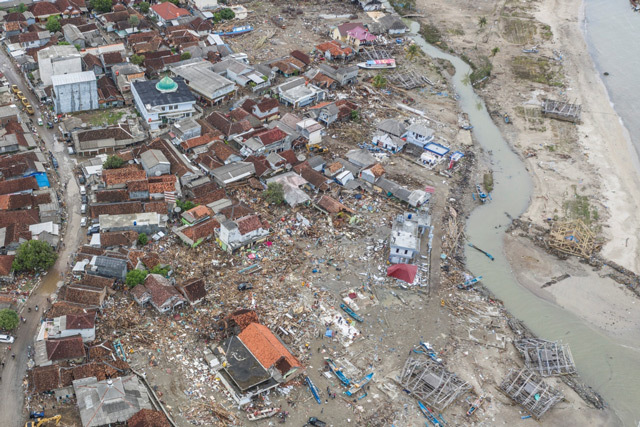 The latest disaster, coming during the Christmas season, evoked memories of the Indian Ocean tsunami triggered by an earthquake on Dec. 26, 2004, which killed 226,000 people in 14 countries, including more than 120,000 in Indonesia. The Saturday evening tsunami followed the collapse of an area of the volcano island of about 64 hectares (222 acres), or about 90 soccer pitches. The waves generated engulfed fishing villages and holiday beach parties at resorts, leaving a coast littered with crushed vehicles, felled trees. Chunks of metal, wooden beams and household items have been strewn across roads and rice fields. In 1883, the volcano then known as Krakatoa erupted in one of the biggest blasts in recorded history, killing more than 36,000 people in a series of tsunami, and lowering the global surface temperature by one degree Celsius with its ash. Anak Krakatau (child of Krakatau) is the island that emerged from the area in 1927, and has been growing ever since. Rescuers were trying on Wednesday to reach several villages still inaccessible by road. Thousands of people are staying in tents and temporary shelters like mosques or schools, with dozens sleeping on the floor or in crowded public facilities. Ayub, a 20-year old fisherman sleeping with his family in a tent provided by the military, said conditions were not ideal due to the rain, but that they had enough to eat. 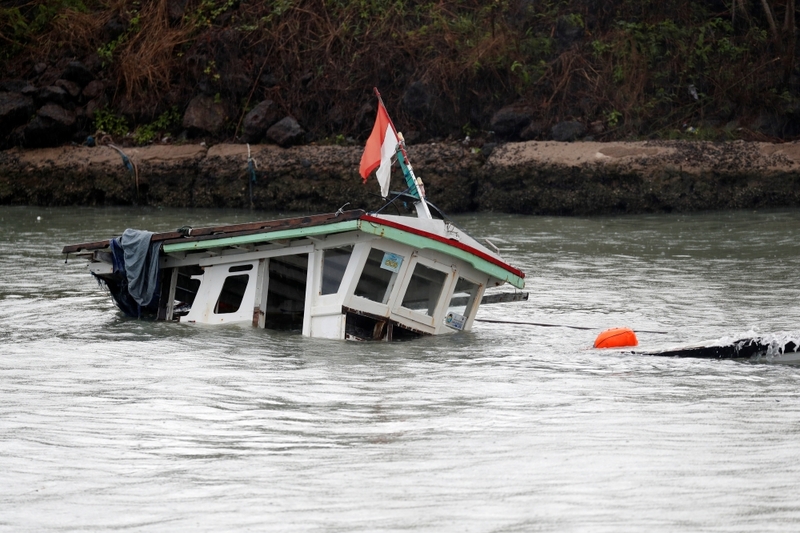 "Everything is destroyed ... My boat, motorcycle, house - all of it," he told Reuters. 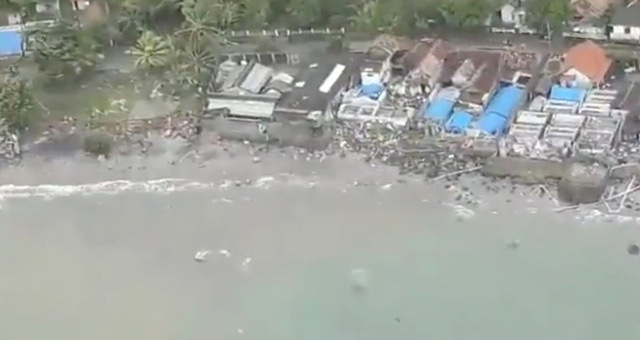 The death toll from the tsunami that hit Indonesian islands without warning Saturday night has passed 420 with more than 1,400 people injured. 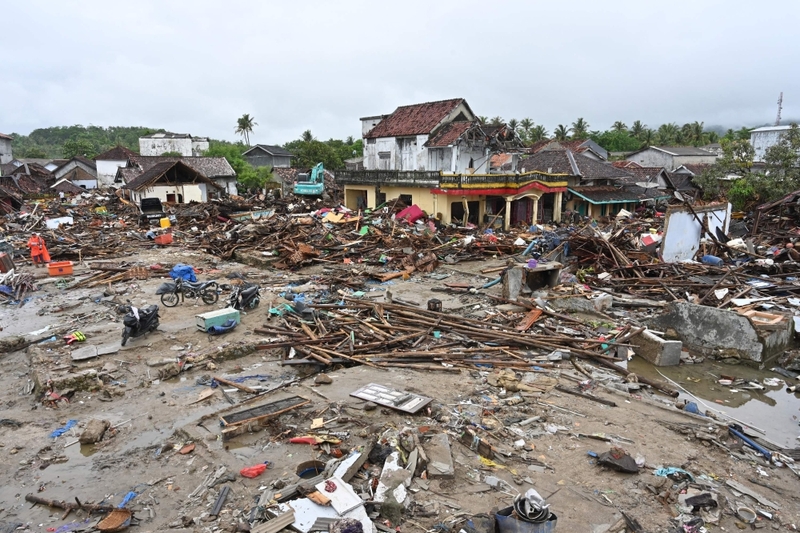 Thousands of people were left homeless when the waves smashed homes on coastal areas of western Java and southern Sumatra. 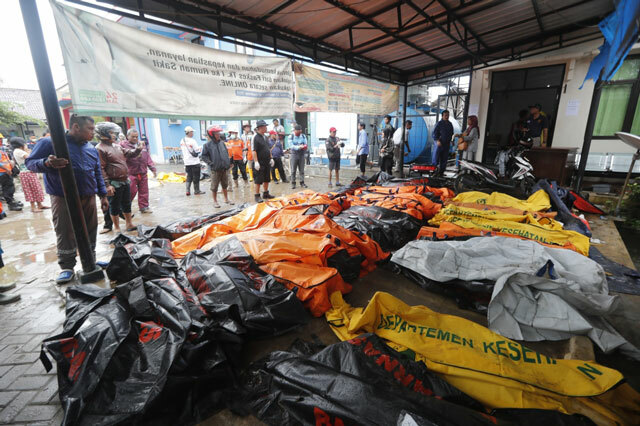 Disaster agency spokesman Sutopo Purwo Nugroho said the death toll had climbed to 429 on Tuesday and at least 128 were missing. 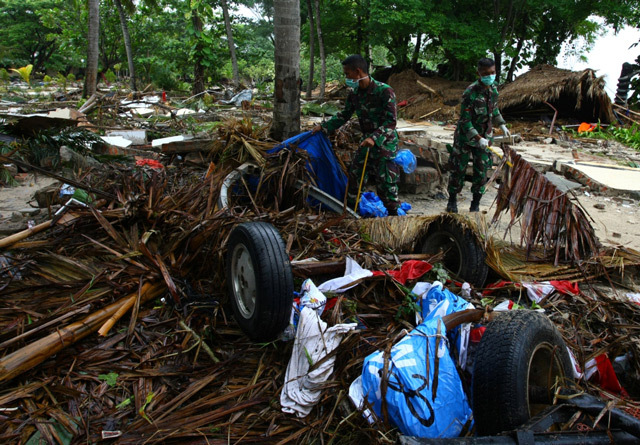 Military troops, government personnel and volunteers were searching along debris-strewn beaches. Where victims were found, body bags were laid out, and weeping relatives identified the dead. The death toll from a volcano-triggered tsunami in Indonesia has risen to 373, with more than 1,400 people injured, the national disaster agency said Monday. 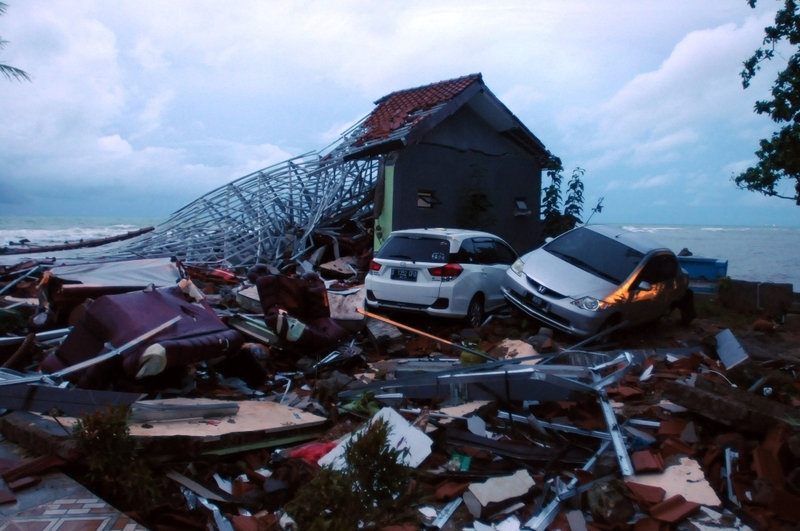 Some 128 were still missing following Saturday's volcano-triggered tsunami that hit southern Sumatra and western Java. 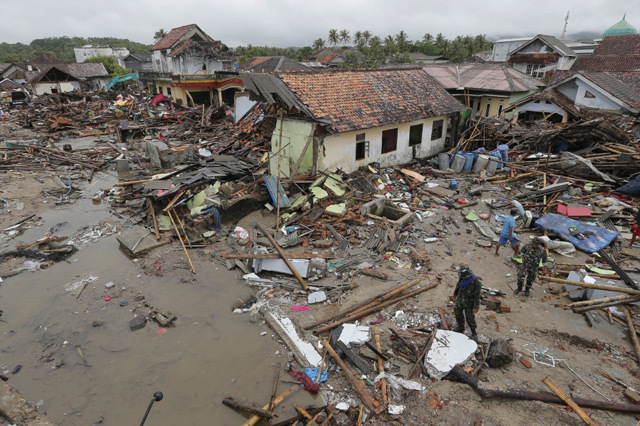 The death toll from the Indonesian tsunami has risen past 280 with more than 1,000 people injured. 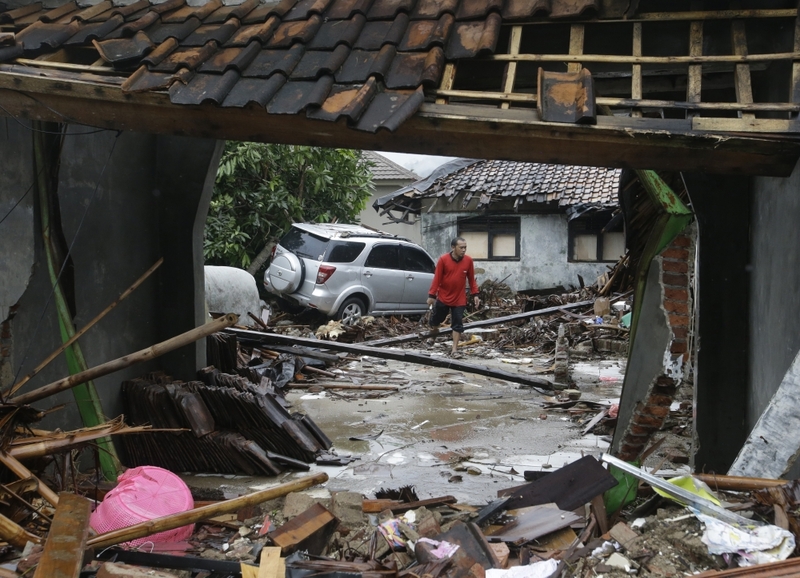 The tsunami struck Sunda Strait coastal areas along western Java and southern Sumatra islands without warning in the darkness Saturday night. Disaster agency spokesman Sutopo Purwo Nugroho said the latest tolls Monday morning were 281 dead and 1,016 injured. The tally of missing is 57 but the numbers are expected to rise. The waves that swept terrified people into the sea followed an eruption and possible landslide on Anak Krakatau, one of the world’s most infamous volcanic islands. 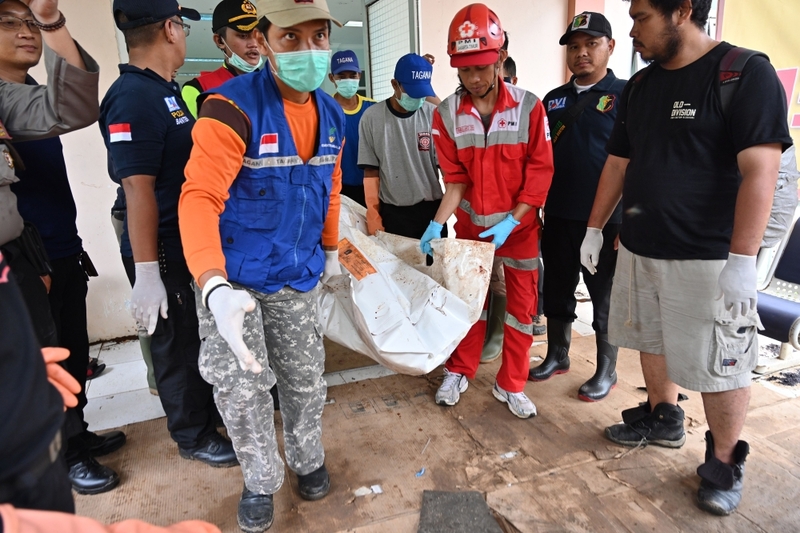 Doctors are working to help survivors and rescuers are looking for more victims from a deadly tsunami that smashed into beachside buildings without warning in the darkness along an Indonesian strait. 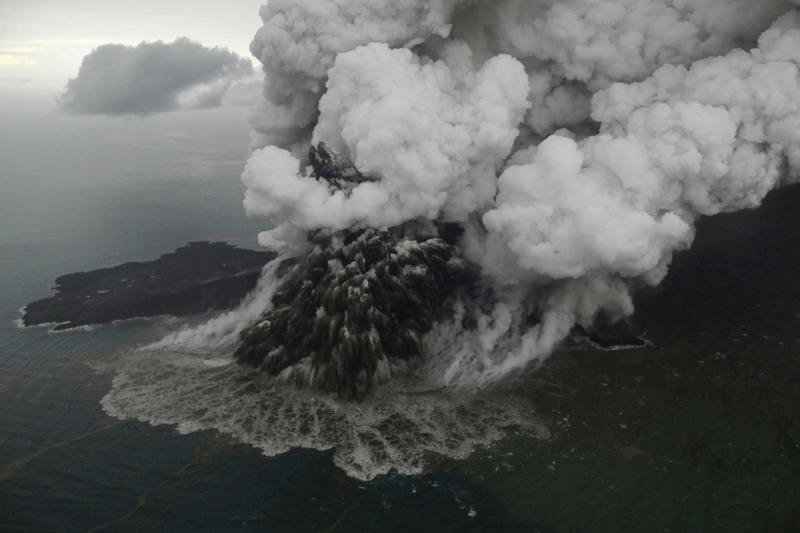 The waves that swept terrified people into the sea Saturday night followed an eruption and possible landslide on Anak Krakatau, one of the world’s most infamous volcanic islands. 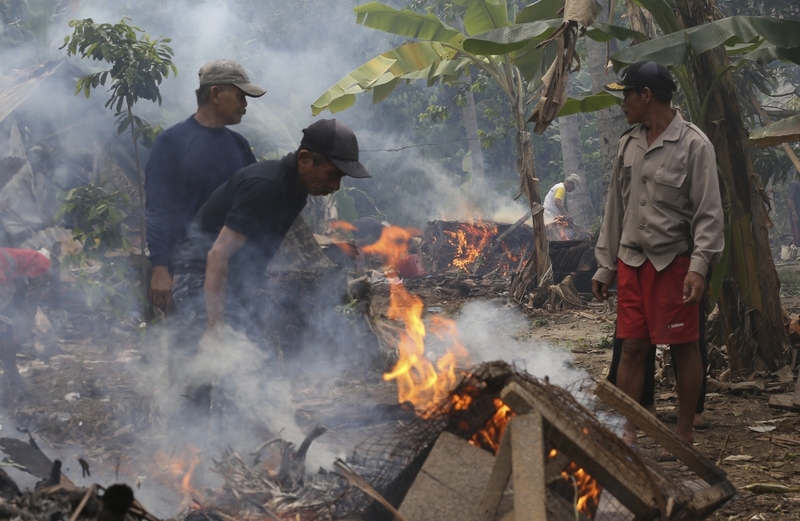 Indonesian President Joko “Jokowi” Widodo expressed his sympathy with those who lost people,and ordered government agencies to respond quickly to the disaster. 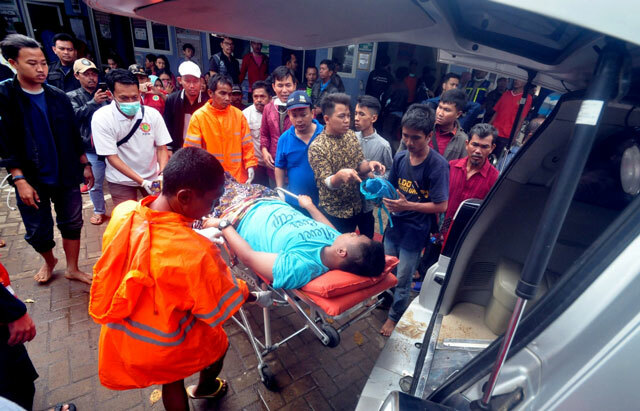 A tsunami following a volcanic eruption in Indonesia has killed 62 people, with hundreds more injured, officials said Sunday. 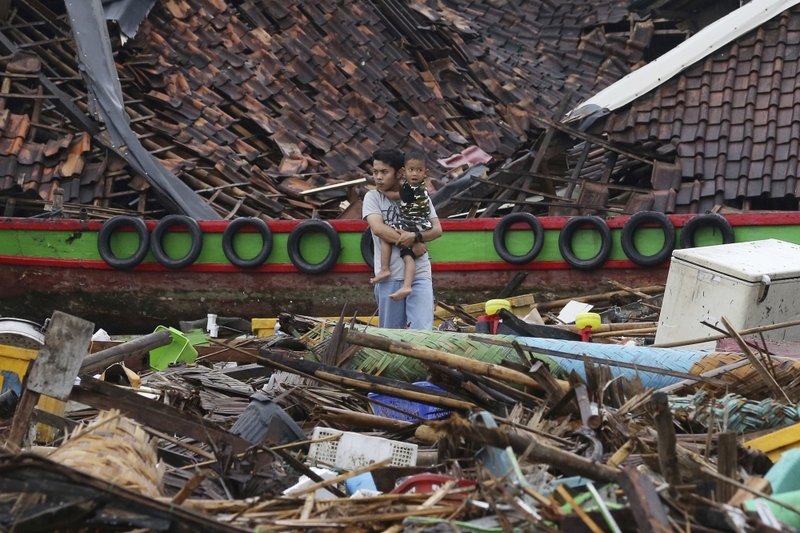 "Sixty-two people have died, 584 are injured, 20 missing," national disaster agency spokesman Sutopo Purwo Nugroho said. "This number will continue to rise considering not all places have been checked."